If you are thinking of building a small form factor (SFF) quiet and silent PC for gaming, HTPC, video editing etc. then you are at the perfectly right place. Some users do not like the noise from the PC as it can affect their work and productivity. 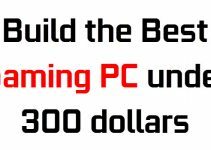 Therefore they look to build a compact silent PC for their work or gaming needs. A quiet or silent PC generates very minimal or almost no noise that is barely audible by your ears. The main components that are responsible for making noise in a PC are fans and hard drive. You can find fans on the CPU cooler, Graphics Card and in your PC Case for increasing airflow and to reduce components temperature. Generally graphics cards fans and PC case fans are responsible for most of the noise in a desktop computer but they are also very important for cooling, otherwise it can lead to increase in the temperature of the computer case, graphics card and other components which can lead to some serious damage. But there are some graphics cards that come with passive cooling solution without fans, and are quite powerful and can be used for casual gaming and for Home Theatre or HTPC purpose. To reduce noise of case fans, you can use high quality silent case fans that generate very little noise which is barely audible when working on the PC. Some Mechanical hard drives can be very noisy and they can get pretty loud during gaming or when working continuously. Also to reduce the noise altogether you will need a good silent PC case that can absorb the noise from the components inside. 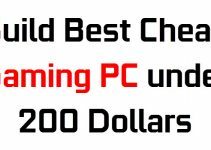 So here in this post I am going to list down the various components that you can get for building a powerful silent PC for casual gaming, HTPC and for other normal office & home use. Here are the various components that you can use to build a quiet PC for everyday use, gaming and HTPC. I will be using all the silent computer components to build this powerful silent PC. Also this SFF Silent PC is not that expensive and is quite affordable. The processor that I have chosen for this silent PC is Intel Core i3-7100. This is a dual core 7th generation Kaby Lake processor from Intel that is fast, power efficient and packs good amount of performance. This processor comes with clock speed of 3.90GHz and has got 3MB cache. The TDP of the processor is 51W which is quite low if we look at the power it possesses. The processor has got two physical cores but can process four threads at once and this Hyper-threading technology can boost the performance of this processor equal to a quad core processor. The processor supports DDR4 RAM and Intel Optane Memory. When paired with a mid-range graphics card, you can play latest games on 1080p resolution with comfortable frame rates quite easily on this processor. Also for normal day to day work and playing FHD and Blu0ray movies, this processor is more than enough. 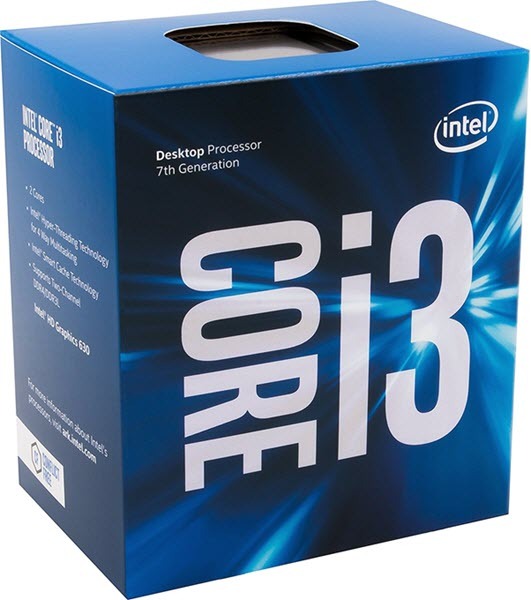 If you an enthusiast and want more processor power then you can get Intel Core i5-7500 instead of this core i3 processor. To keep the noise down to minimum, I will be using a quiet aftermarket CPU cooler instead of the stock CPU cooler from Intel. 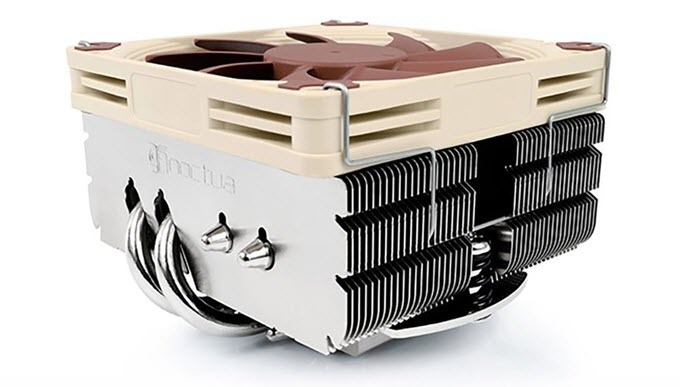 Here we have a very silent CPU Cooler which is Noctua NH-L9x65 CPU Cooler. This is a very high quality and high performance CPU Cooler that is very quiet in operation. This is low profile CPU cooler and is only 65mm tall, which means it can fit in smallest of computer cases including mini-ITX cases. This CPU Cooler supports almost all the major Intel and AMD sockets including AMD AM4 Socket. It comes with a 95mm fan having SSO2 bearing which is one of the quietest bearings with advanced technologies. The base of this CPU cooler is pure copper and there are four heatpipes present to dissipate heat more quickly. You will need a LGA 1151 Socket Motherboard for latest Intel Kaby Lake processors. 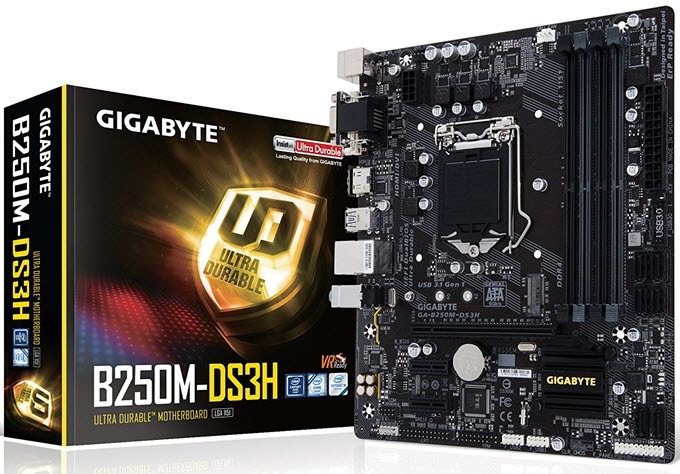 Here I have selected Gigabyte GA-B250M-DS3H motherboard. This is a budget kaby lake micro-ATX motherboard based on the latest Intel B250 chipset. The motherboard comes with all the features that you need for gaming or other work. This motherboard supports both Intel 6th and 7th generation processors and DDR4 RAM. For graphics card the motherboard comes with a PCI Express 3.0 x16 slot that support both Nvidia and AMD graphics cards. The various important features of this motherboard includes Intel Optane Memory support, M.2 slot for super fast SSD, onboard HD Audio, UEFI DualBIOS, Gigabit LAN, Smart Fan 5, Hybrid Fan Pin Headers, VR Ready, Anti-Sulphur Design, Humidity Protection Glass Fabric PCB, Gigabyte App center and High Temperature Protection Lower RDS(on) MOSFETs Design. You will need good amount of high speed RAM if you want to run latest games on this PC. Here I have selected Ballistix Sport LT 8GB Kit (4GBx2) DDR4 RAM from Crucial that has maximum speed of 2400 MT/s. This is a 288-pin Gaming DDR4 RAM for high performance PCs and Gaming PCs. This DDR4 RAM comes with a Red Heat spreader or heatsink that look very sporty and keeps the RAM from getting hot. This DDR4 Gaming RAM supports four channel memory architecture for ultimate performance in gaming and memory intensive applications. 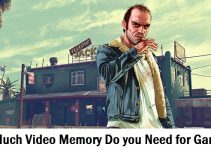 If you need more memory then you can buy another 8GB kit of this RAM. A good 1TB mechanical hard drive will be more than sufficient gaming and normal storage needs. 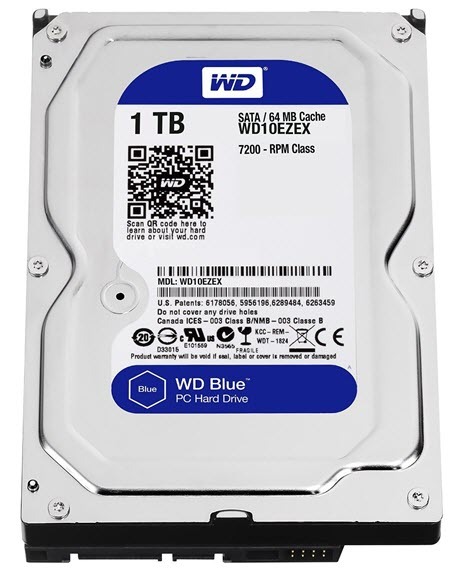 For hard drive I have picked WD Blue 1TB SATA hard disk from Western Digital. This is a very reliable and popular hard drive which is known for its performance and it resonably silent in operation. This hard drive has rotation speed of 7200 RPM and comes with 64MB cache that results in higher read and write data transfer rates. This hard drive is pretty quiet in operation and it comes with IntelliSeek technology that calculates optimum seek speeds to lower power consumption, noise and vibration. If you want a completely silent hard drive and do not have budget constraints then you can get Samsung 850 EVO 500GB SSD for this silent PC build. 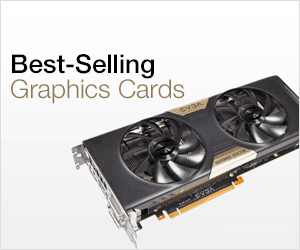 Graphics Card is one of the most important components for a gaming PC. It is also one of the noisiest components in a PC as it can generate a fair bit of noise because of its fan or fans. To keep the noise to minimum levels, we will be using a passively cooled graphics card which comes only with a heatsink and does not have any fans. You must note that even with passive cooling, the graphics card should be powerful enough to run latest games on decent graphics settings and resolution. So for graphics card I have chosen XFX Radeon RX 460 4GB Heatsink which is a passively cooled Radeon RX 460 graphics card. The card comes with 896 Stream Processors and 4GB GDDR5 memory. Radeon RX 460 is a budget mid-range graphics card from AMD that can run latest games on medium graphics settings at 1080p resolution. The card is built on the latest Polaris GPU architecture from AMD and has performance equivalent to GeForce GTX 1050 from Nvidia. This passively cooled version of Radeon RX 460 comes with a large heatsink with two copper pipes for faster heat dissipation. The card is completely silent in operation because there are no fans. This is a fairly powerful graphics card and support all the latest technologies and APIs that include DirectX 12, OpenGL 4.5, Vulkan, OpenCL, CrossFire, AMD LiquidVR, Premium HDR, AMD Eyefinity Technology and more. The card has lower power consumption and it does not need external power connectors for its working. You only need a good 400 Watt PSU to power this card. On the connectivity front, the card comes with DVI, HDMI and DP display ports. 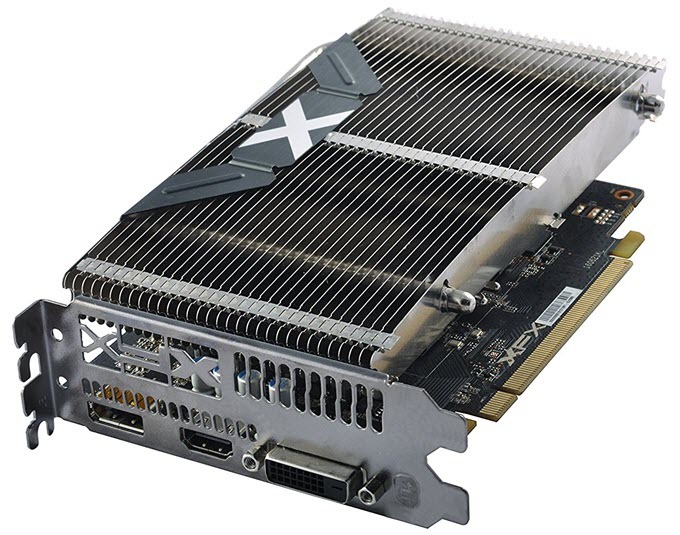 The model number for this graphics card from XFX is RX-460P4HFG5. To power this silent PC, you need an efficient, powerful and a quieter power supply. 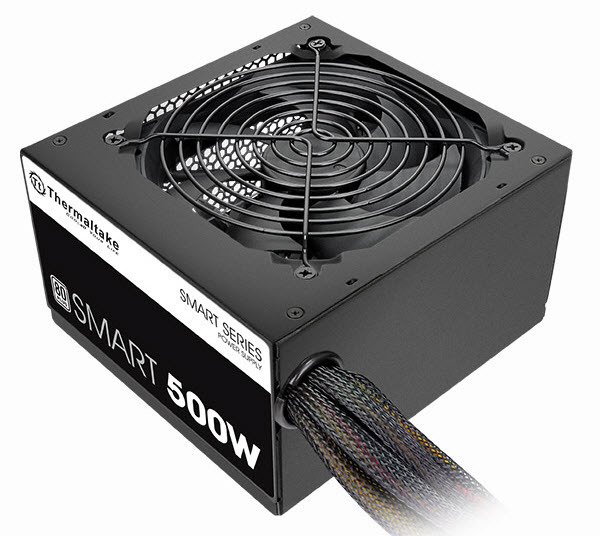 So for power supply I have chosen Thermaltake SMART 500W Continuous Power which is a very good 500 Watt PSU and has got 80 Plus White Certification resulting in efficiency up to 86%. This is a non-modular power supply and it comes with two 8pin (6+2) pin PCIe power connectors for graphics card. The 120mm fan in this PSU is very quiet in operation and you can barely hear it from the outside. This Thermaltake PSU has got single 12V rail that has 35A current under it. It is powerful enough to power a decent configuration equipped with a powerful mid-range graphics card. This reliable and efficient power supply comes with all the necessary protection features including (OPP) Over Power Protection, (OVP) Over Voltage Protection, (SCP) Short Circuit Protection. Other features include Active PFC (Power Factor Correction) and all sleeved cables. 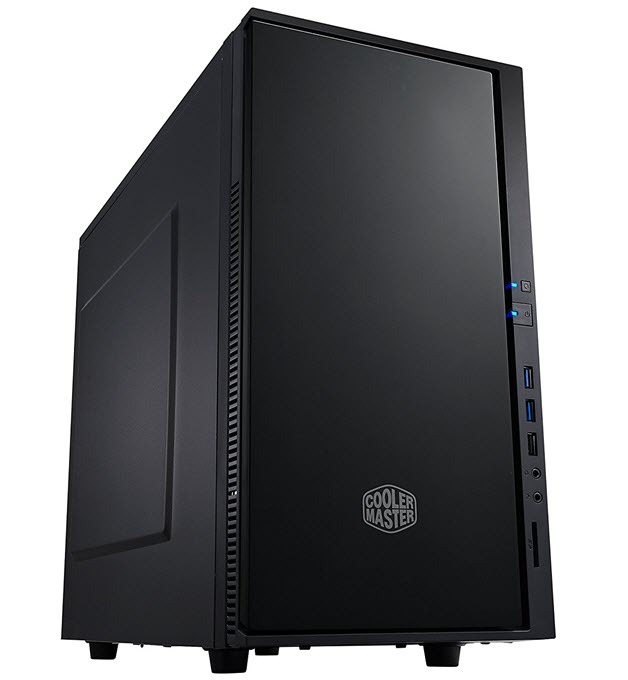 The case I have picked for this quiet PC is Cooler Master Silencio 352. This is a mini-tower case that supports micro-ATX and mini-ITX motherboards. This is a very silent case and it comes with noise cancelling foam on the front door and side panels. The case offers good airflow and it comes with one 120mm XtraFlo fan on the front and one 120mm XtraFlo fan at the rear. You can optionally install one more 120mm fan at front and one 120mm fan at top. The case is strongly built and on the front you will find two USB 3.0 ports, one USB 2.0 port, audio ports and SD Card Reader. This mini-tower case can support 355mm long graphics cards, 155mm tall CPU coolers and one 240mm radiator unit on the front. The case looks very elegant and has got matte front panel and removable dust filters on the top, front and on rear. It comes with adequate space for your drives and can accommodate up to 4 SSDs. Overall it is a great SFF silent case that is very well suited for building a quiet PC for HTPC, video editing work and gaming. At the end I would like to say that if you like to work in a noise free environment then this silent computer will not disappoint you. This quiet PC build is not expensive either and is well within budget for most of the users. You can increase the RAM or go for a higher processor if you like to. If you have any queries or doubts about PC build or graphics cards then you can ask me by leaving a comment below. Well, if somebody needs intel inside…. I would rather wait for the new AMD’s mobile ryzen pro or use just current mobile ryzen with TDP 15W. I have built already few based on the intel i3 and celeron embed and am happy for the result but they will never get the same performance as ryzen, neither in power consumption nor fps-es.